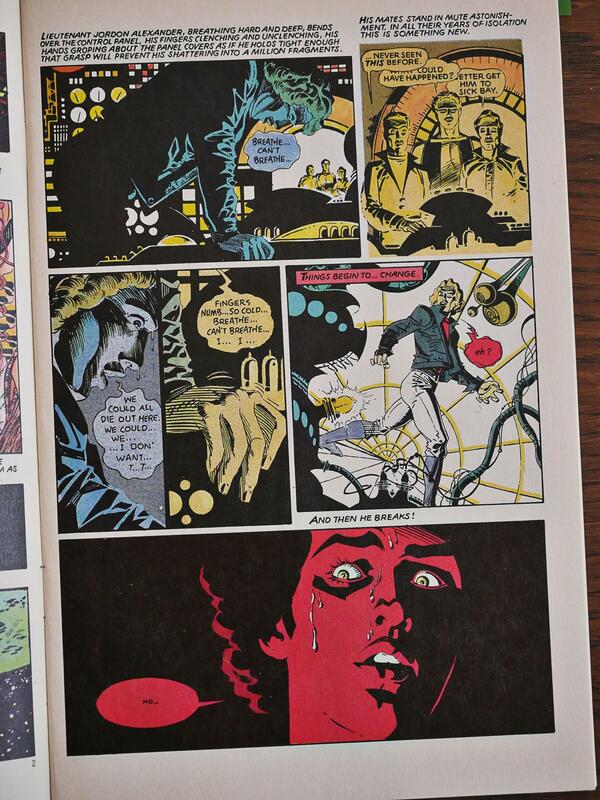 Night Music (1979), Night Music (1984) #1-11 by P. Craig Russell et al. 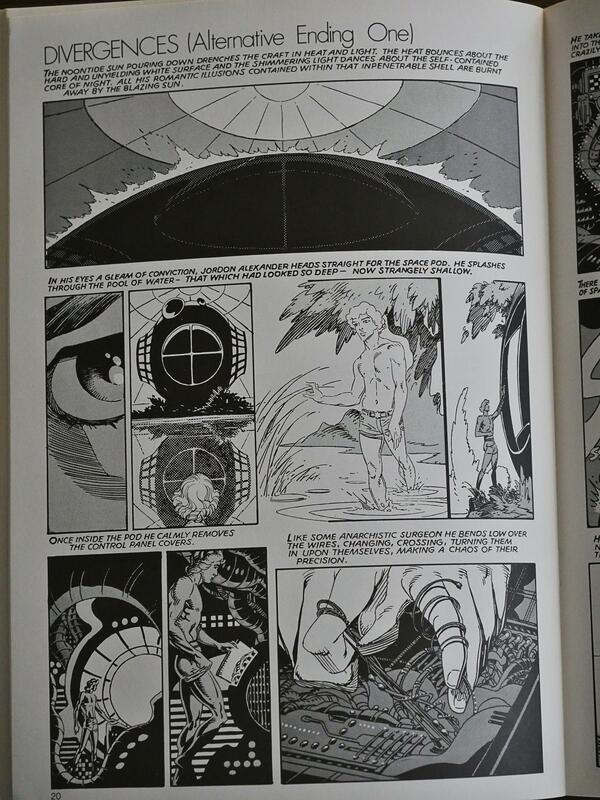 For the first few years, Eclipse mainly provided refuge for ex-Marvel creators. 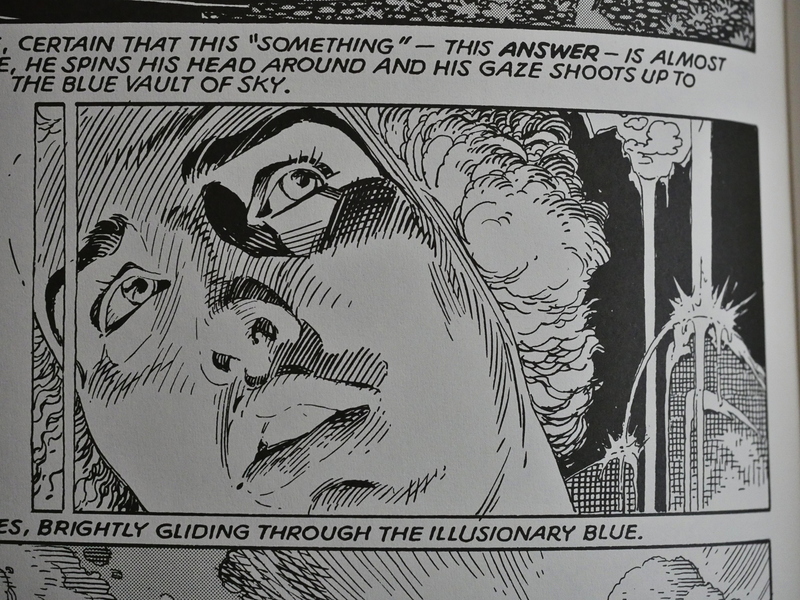 P. Craig Russell had been doing the artwork for Killraven (written by Don McGregor) in the mid-70s. 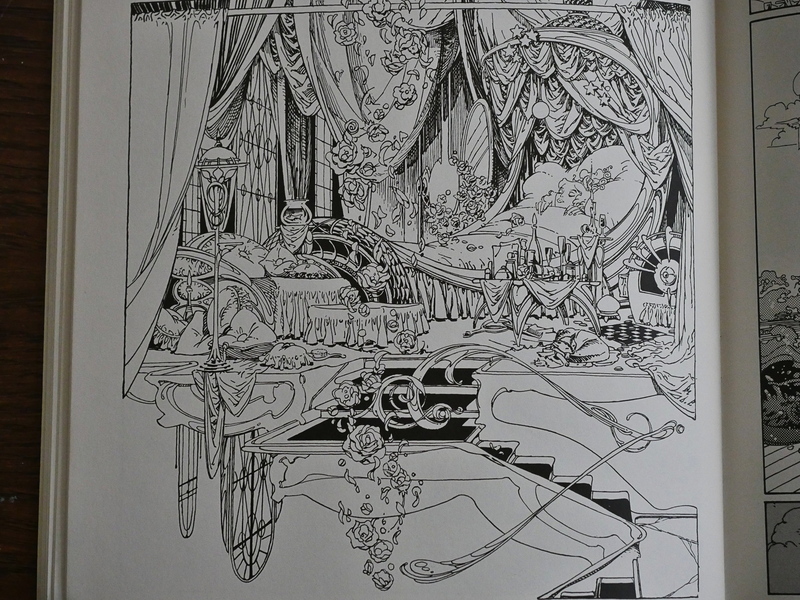 Apart from Russell’s art nouveau influences, the most striking thing about his artwork is the unusual angles we see his characters in, and how posed they are. I assume that this is because Russell draws figures from photo reference. 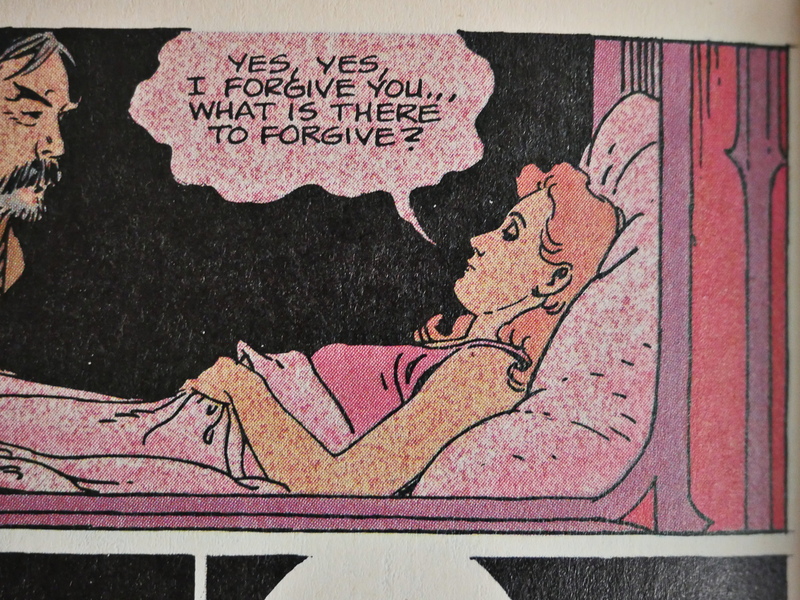 Those two panels look a lot like if Russell had snapped two pics of his friend while lying on the floor, right? Also: Russell has a lot of good-looking friends who visits his studio. Also: Dramatic lighting and luscious lips. Oh, I forgot to even mention what this story’s about: It’s about a reluctant astronaut who lands his ship on an uninhabited planet. The only reason I even mention the plot is that it, amusingly enough, has two endings, and we can pick the one we like. It’s very thoughtful of Russell. I don’t think Therimbula and the Sea was ever published? 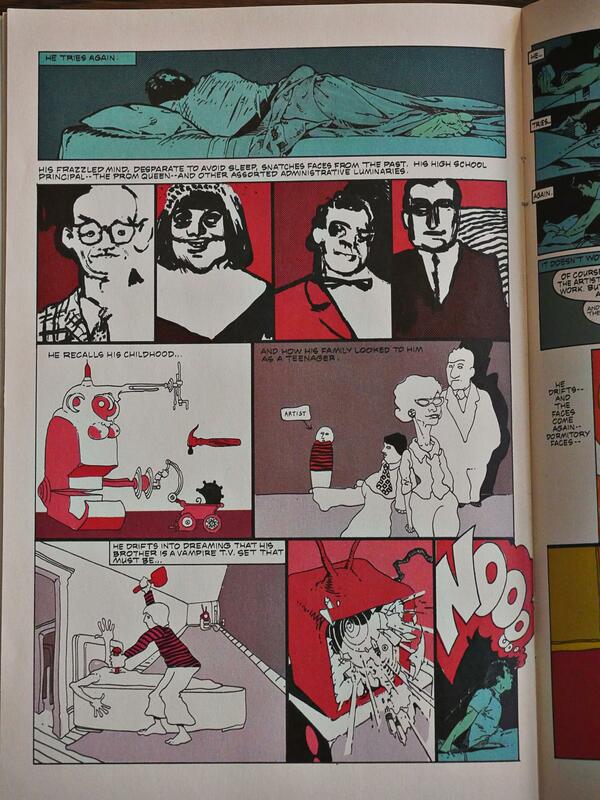 The volume ends with a short wordless story that’s even more lusciously rendered than the main story. I won’t attempt a plot recap here. Russell thoughtfully provides us an author photograph that shows himself both in profile and straight on (so to speak). 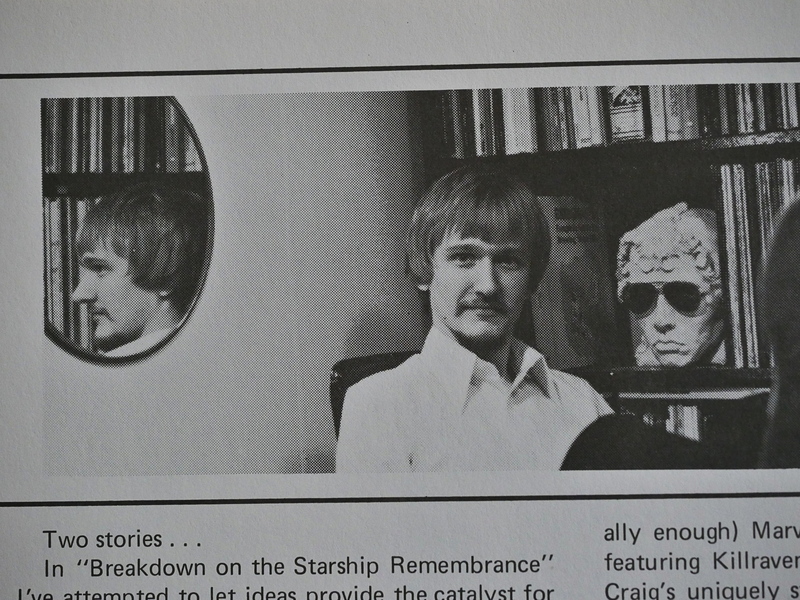 It’s the ‘stachy 70s, remember. 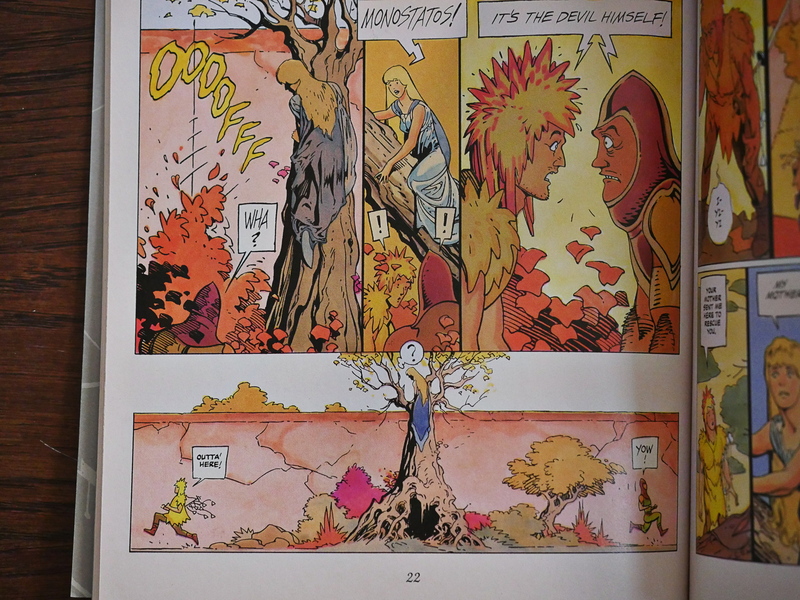 In 1984, Russell restarted the series with a new number 1, and this time in standard comic book format, and in colour. 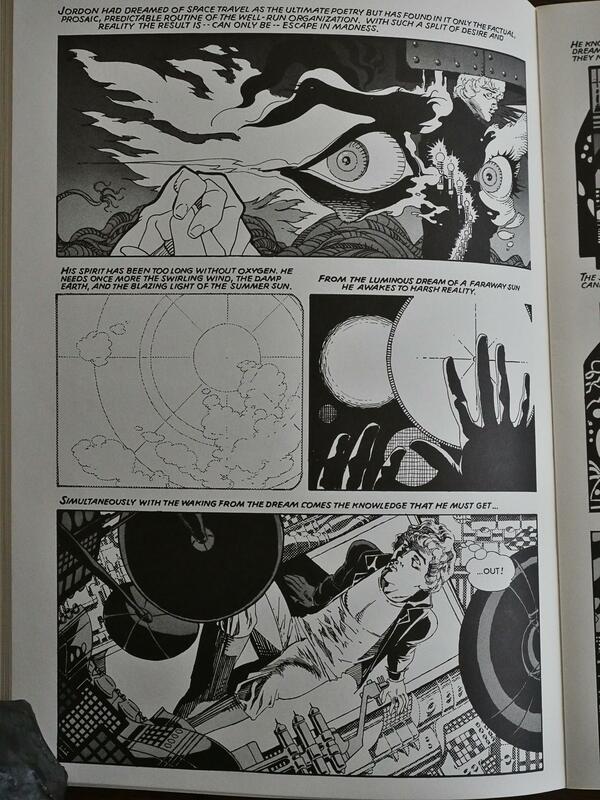 The first couple of issues mostly reprint the material from the graphic novel. 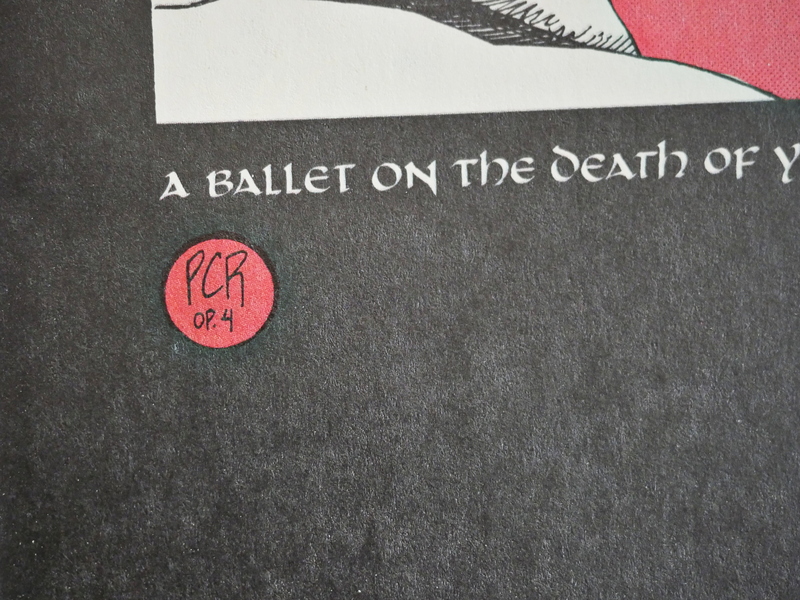 Usually when you’re colouring material originally prepared for black-and-white publication, the results leave a lot to be desired, but it’s done quite thoughtfully here. 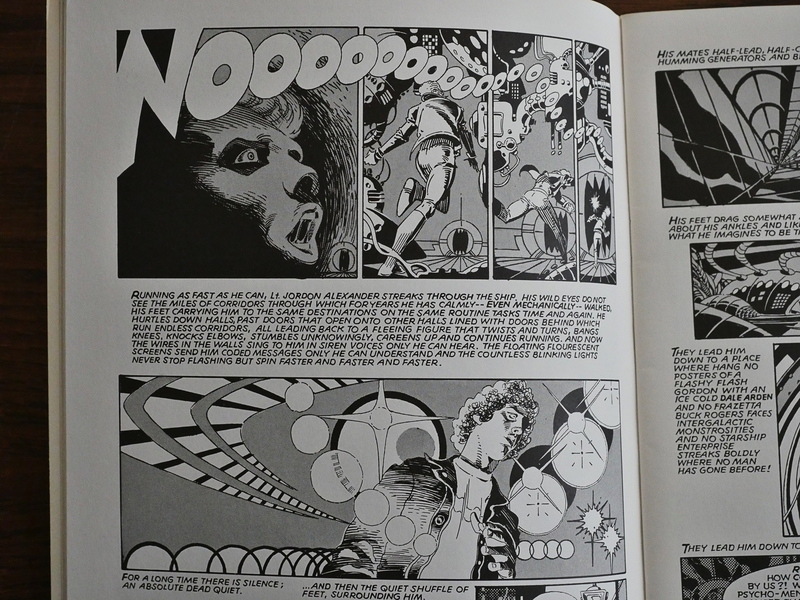 The other stuff in the first two issues are bits and pieces of older Russell stuff that had appeared in various anthologies, or had not been published at all before. 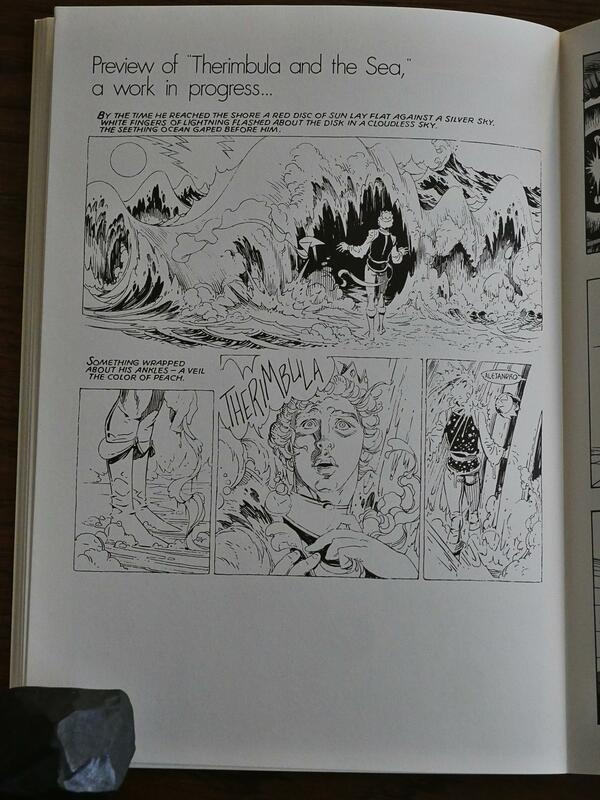 This is the only Russell work I’ve seen that’s done in this non-inked style; reproduced straight from the pencilled page, I would guess. Most of Russell’s work have these “op. X” designations somewhere. What’s that about? Russell lets us in on the secret: He numbers all of his notable work, which I think is pretty charming. 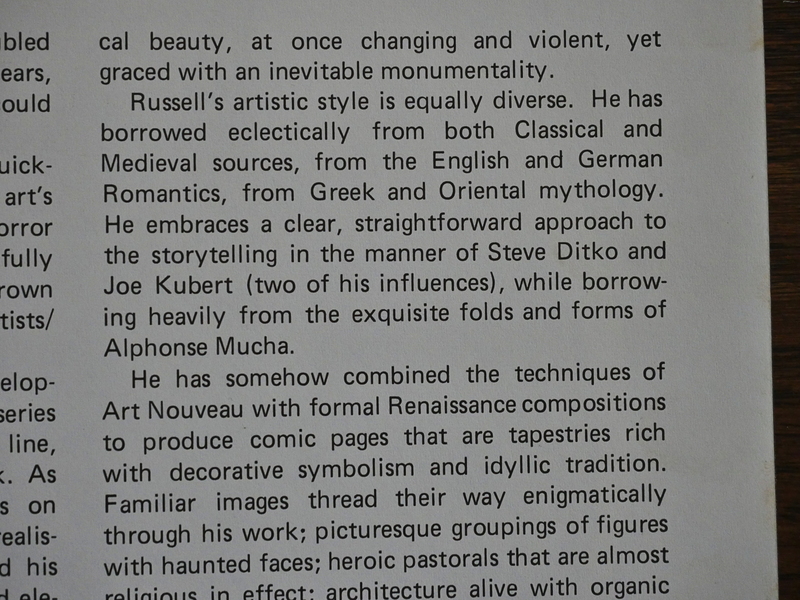 Some of the oldest work veers into stylistic territories that Russell would never revisit. That’s very early 70s French, isn’t it? 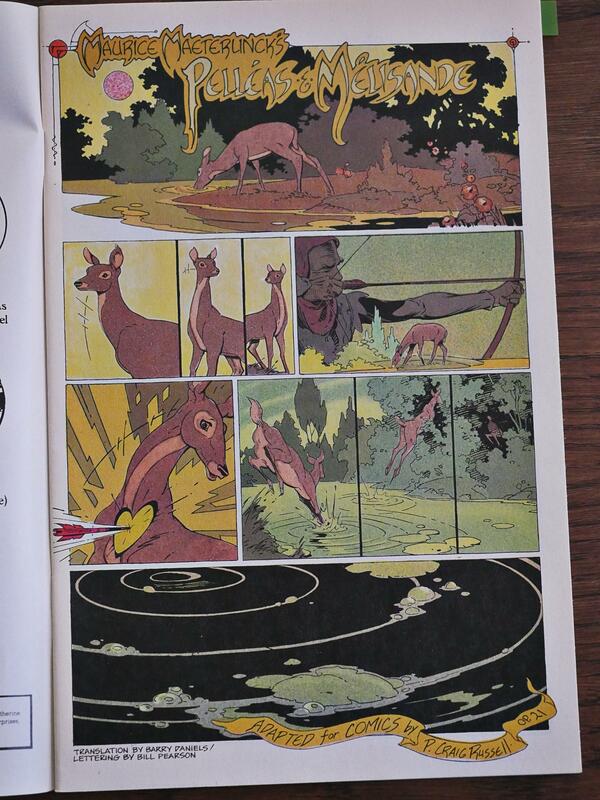 In the third issue we’re told that we’ve been reading a three issue mini series, and the show’s over. 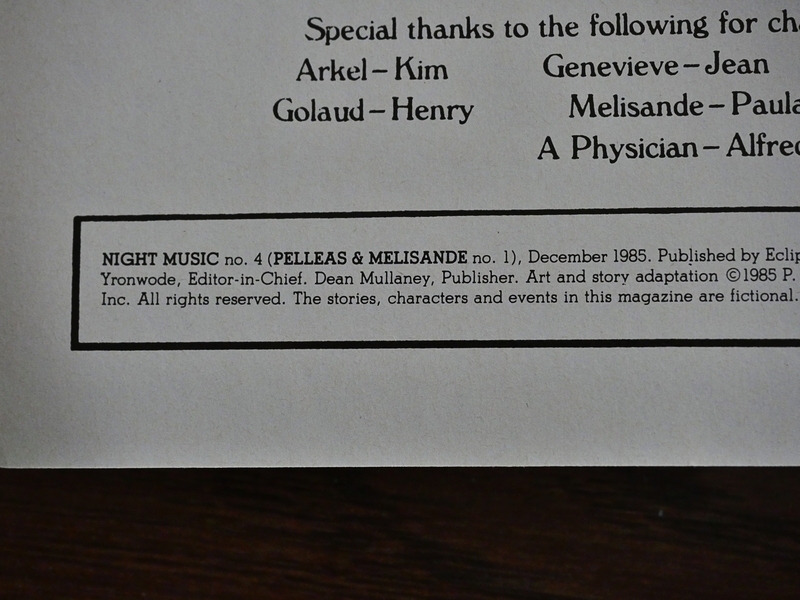 For the rest of this series, the covers of the books don’t mention “Night Music” at all. Instead each story (which may span several issues) have a distinct name, and that name is on the cover. It’s an approach Eclipse used for several creators, I think? One title on the cover, and another in the indicia. It makes sense, I guess: New readers get a new number 1, and fans of the artist keeps buying the series. I don’t mean that in a commercially mercenary way, either. It’s a kinda cute approach. 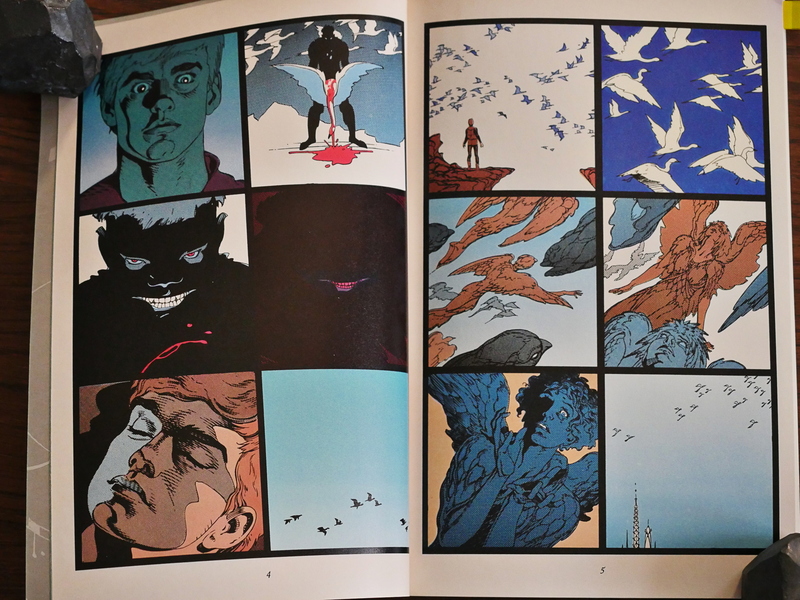 Russell’s artwork doesn’t really change radically as the years pass by, but it does get even prettier. 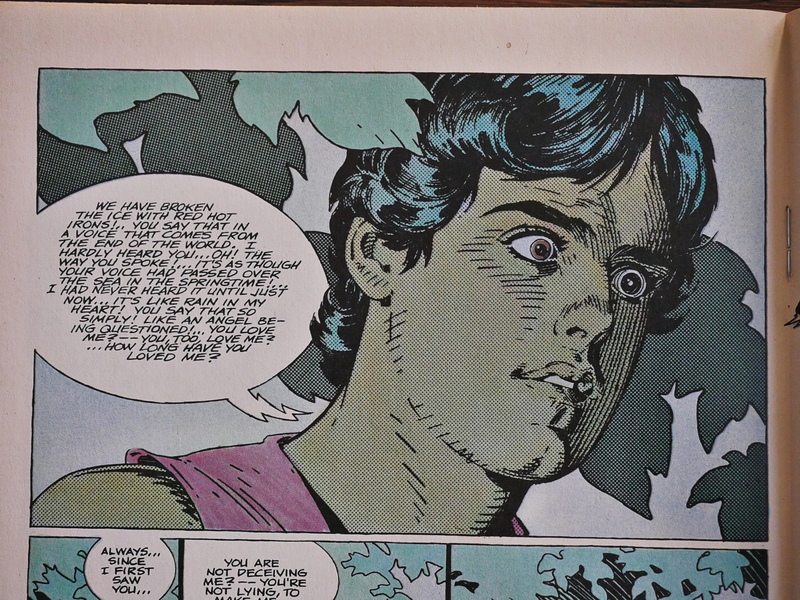 However, since Russell relies so heavily on photo reference for his characters, when he chooses a dorky-looking one as Our Hero, the results can be unintentionally funny. 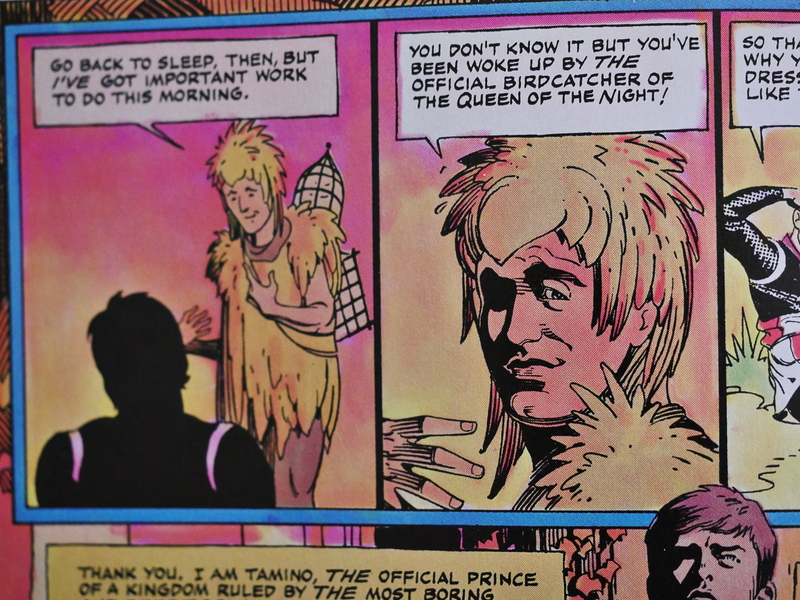 And I have to mention the colouring. Oh, the colouring. It’s like nothing else anywhere. Fortunately. It’s a mottled mess of muddled muddy spittled flecks of colour. How on Earth did they come up with this colour separation method? Reading the indicia it says that the “film preparation” is by “SM Graphics”: The same people behind the Dalgoda coloring mess. COLOR SEPARATED LASERS The process of printing a black and white laser for each color found in a document. I.E. a four-color process document will result in four lasers when color separated: cyan, magenta, yellow, black. Well, OK, that didn’t really explain how we ended up with this blotchy mess… Perhaps somebody out there knows? 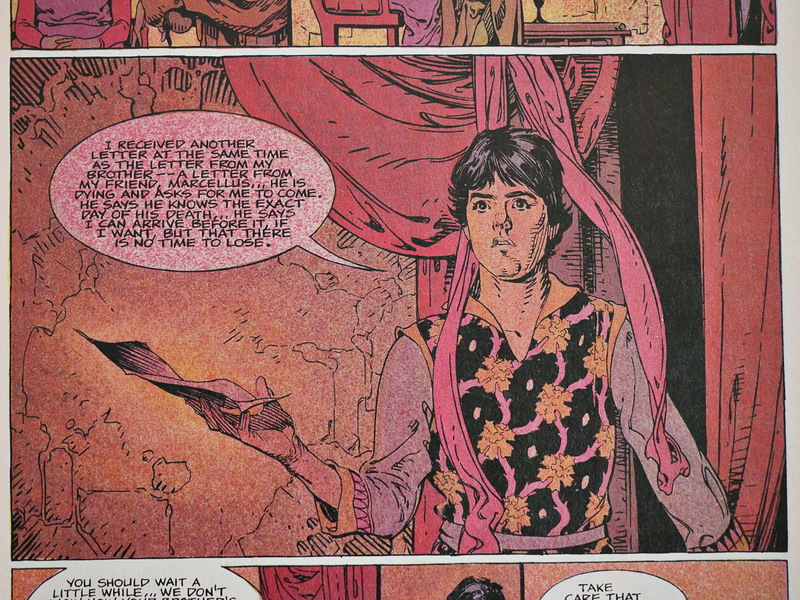 Eclipse’s trade dress for some of these things are a bit “wha?” Russell’s adaptation of Salome is apparently a “micro-series” of one issue. 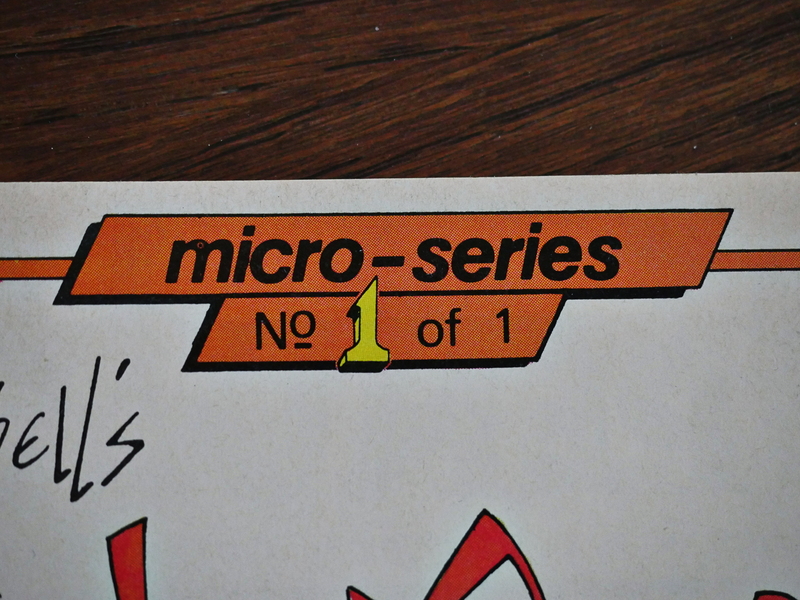 Well, OK.
It’s a really lovely micro-series, though. Full of pathos and drama and is emotionally gripping, in addition to being gorgeously told. But, as usual, the fly in Salome’s no doubt fragrant ointment is the colouring. Splotch, splotch. Like in this second Kipling adaptation, which is even better than the first one. 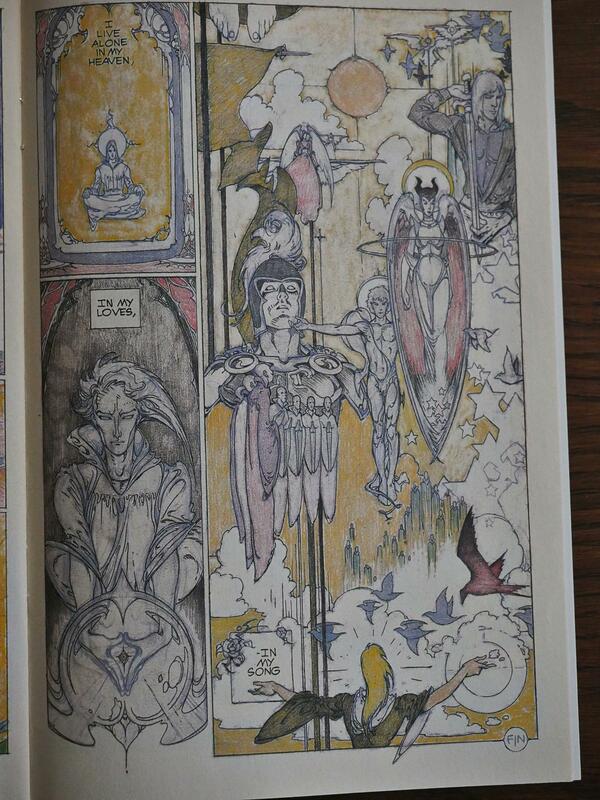 But note a) the blotchyness, and 2) the out-of-register printing of the colours. Oh, well. 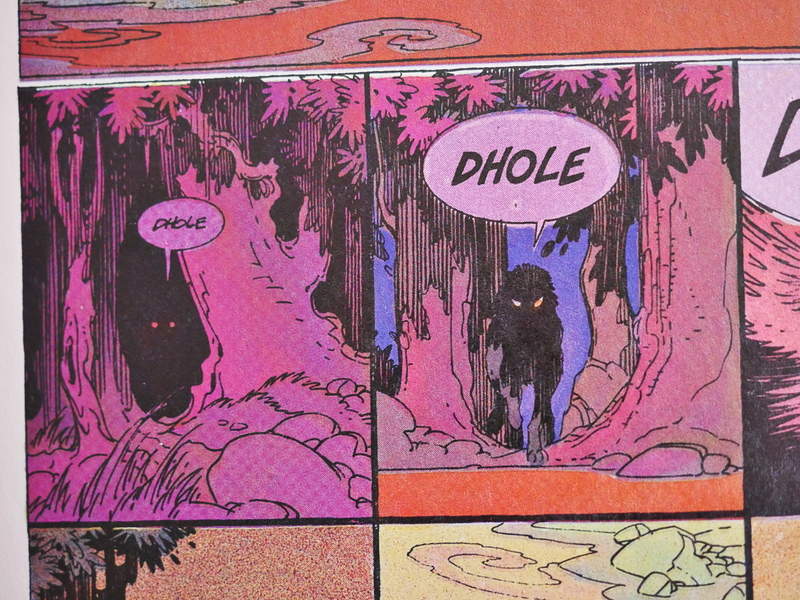 Not being a Kipling reader myself, I was surprised to find the dialog and narration of these tales to be surprisingly stiff, formal, and difficult to follow, like reading in a foreign idiom. said random Amazon reviewer. And it’s not wrong, but I love it anyway. Remember I mentioned the problems with using photo reference? 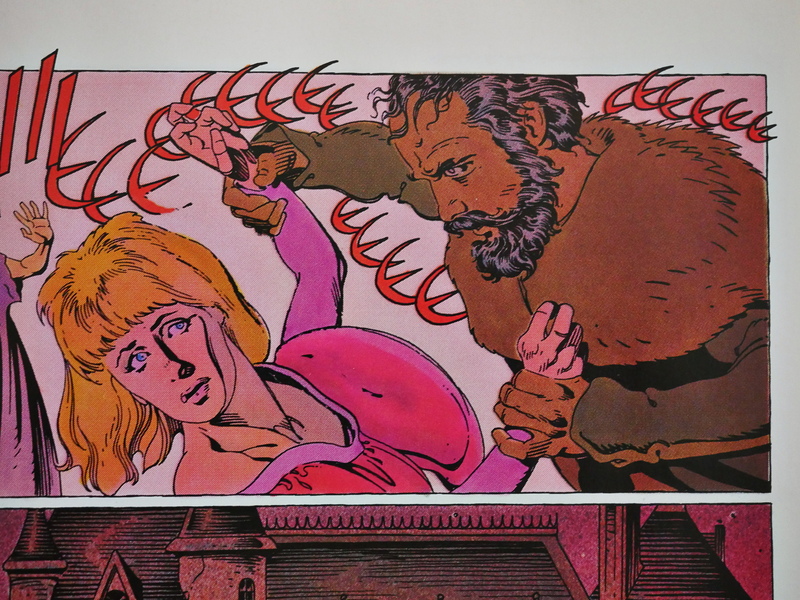 The drawings are only as dramatic as the talent of the actors, and while most of Russell’s models are really good at looking pensive and racked with ennui, when they have to do something dramatic (that’s Bluebeard assaulting Ariane), it’s often… er… how do I put this charitably? 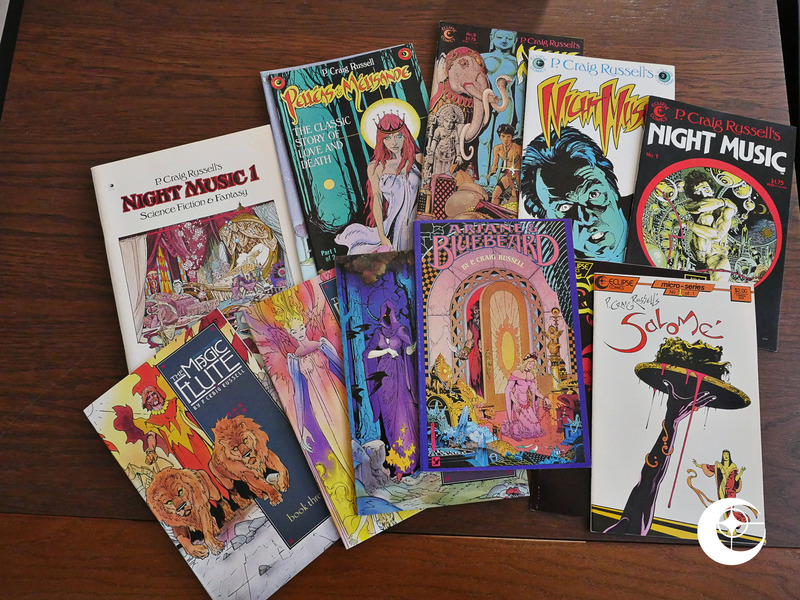 The final four issues of Night Music were published in the “prestige format” (as it was called back then). 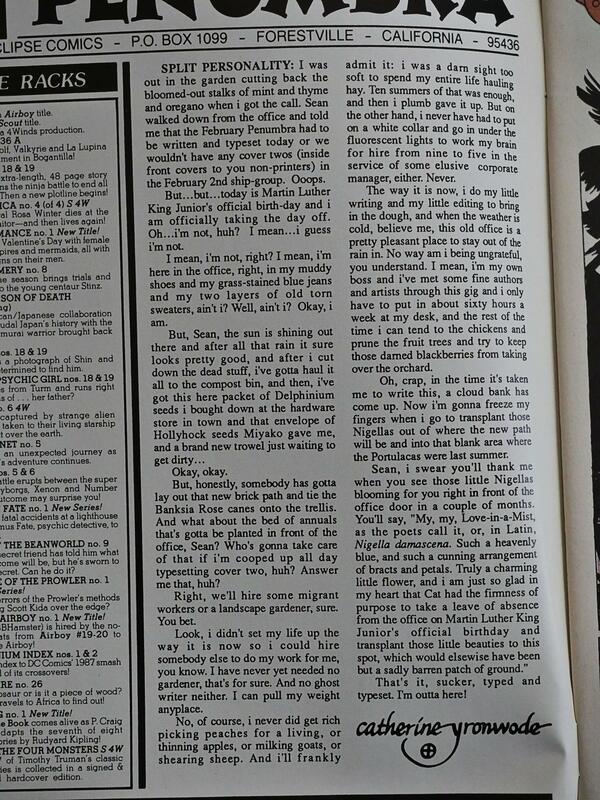 It’s the format popularised by Frank Miller’s Dark Knight series: Around 48 pages in standard comic book format, but squarebound instead of stapled. 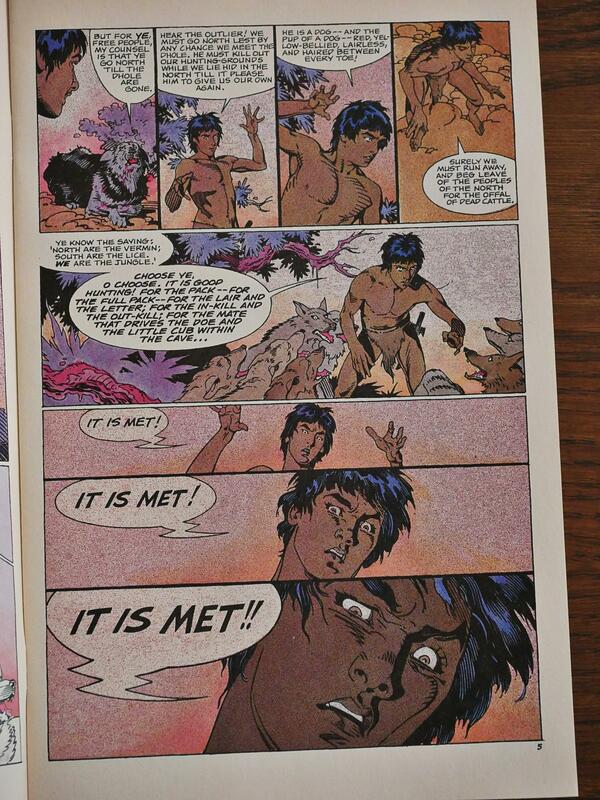 The final three issues are an adaptation of Mozart’s Magic Flute silly opera. Russell is now working with Patrick Mason on the script side, which is something that would continue in all of Russell’s future opera adaptations after Eclipse had folded. Mason’s approach is distinctly different from Russell’s. While Russell on his own had a tendency of cramming a lot of information into few pages, which can feel claustrophobic, The Magic Flute is quite open and airy. It’s not that the former is worse than the latter, but it’s very different. 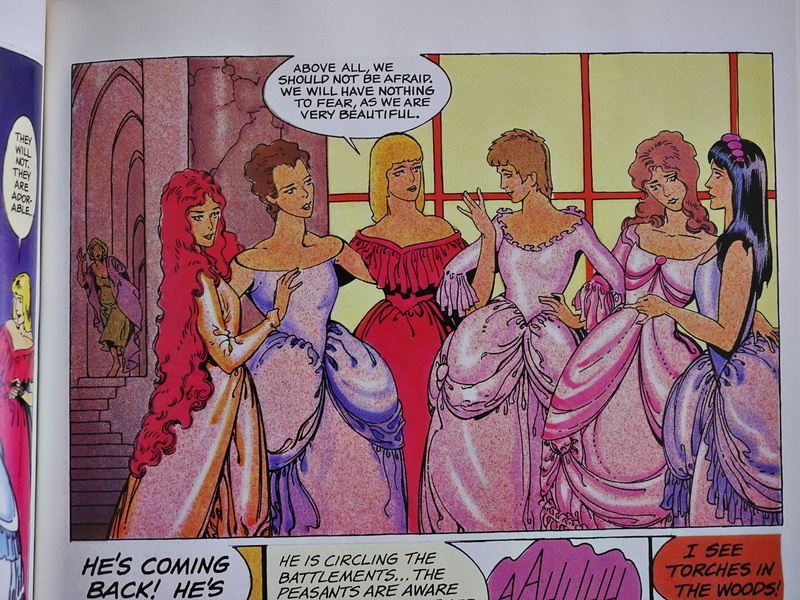 And they’ve finally fixed the problems with the colouring which had plagued Night Music until now. Gone are the weird splatters and splotches, and instead we get colours that look painterly and painted. Mozart’s The Magic Flute is a silly, awkward mess that makes no sense. (In addition the music is horrible.) 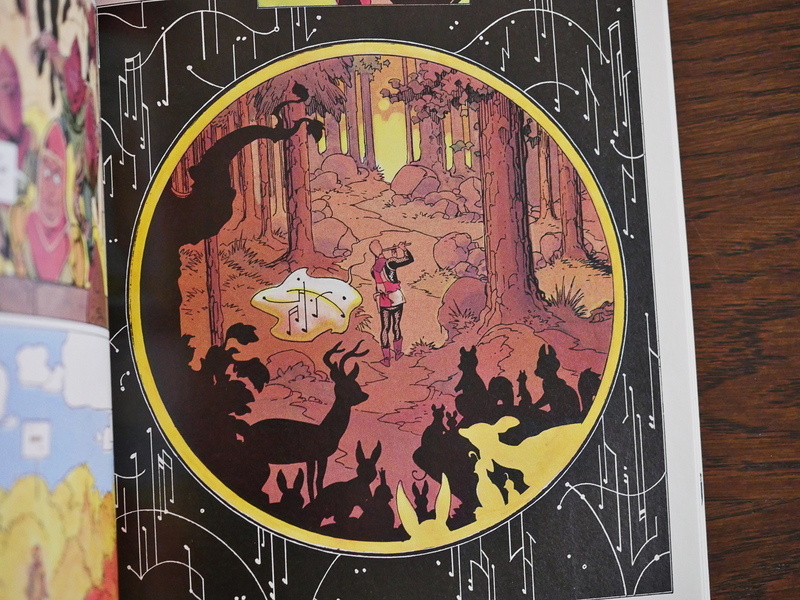 Mason & Russell’s The Magic Flute is logical, moving and very funny. 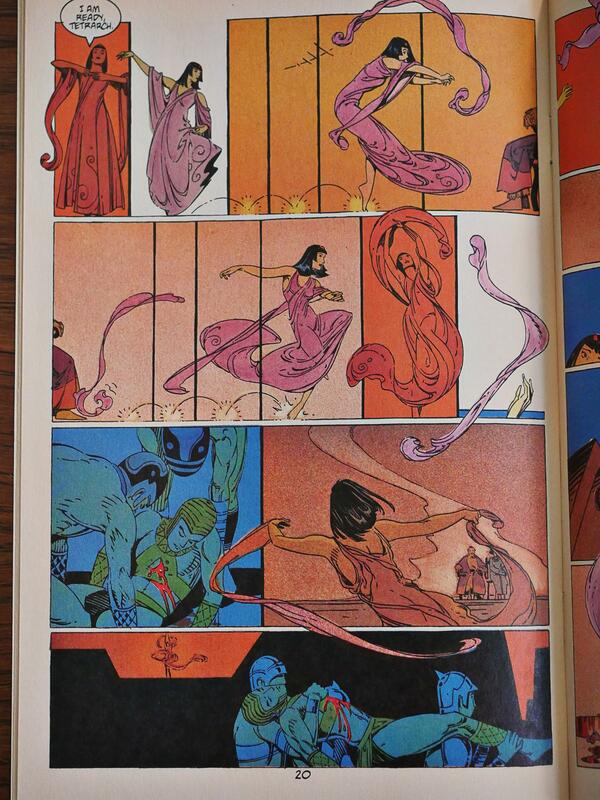 And has a bit of Moebius crept into Russell’s artwork? 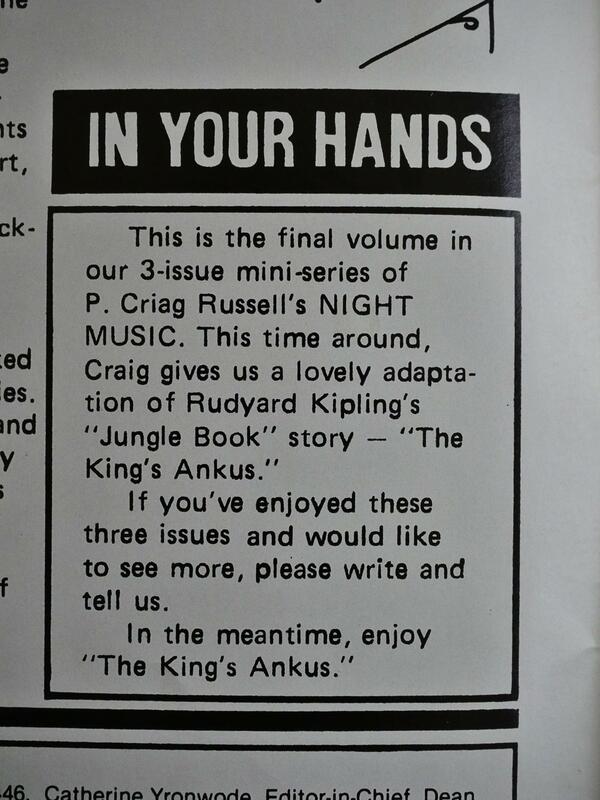 Of all the stuff that Eclipse published, P. Craig Russell’s Night Music series stands out like a very non-sore thumb. You have to admire Eclipse’s persistence in supporting this work: The first issue appeared in Eclipse’s second year, and the last issue appeared two years before Eclipse went belly up, I think. I can’t imagine these books were huge sellers. 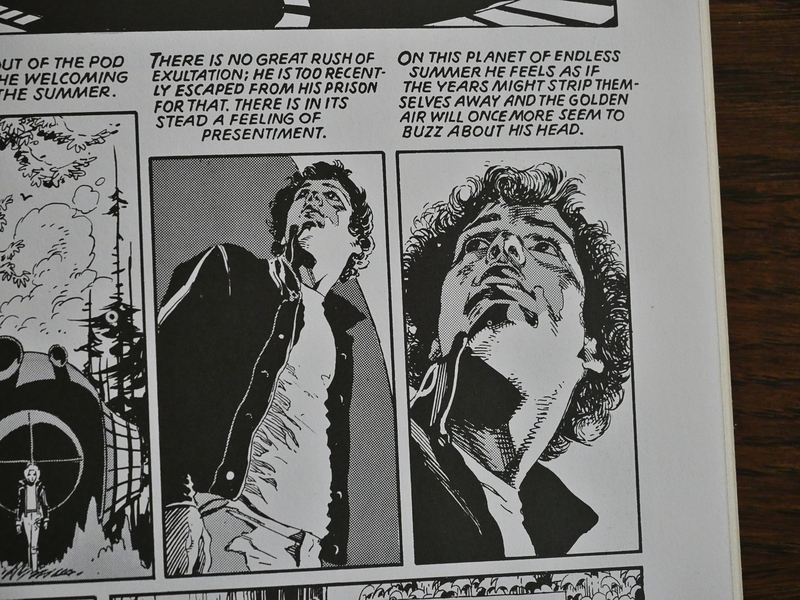 They’re such anomalies in comics: Full of pretension (the good kind) and willowy artwork. But perhaps I’m wrong? Perhaps these sold hundreds of thousands of copies? 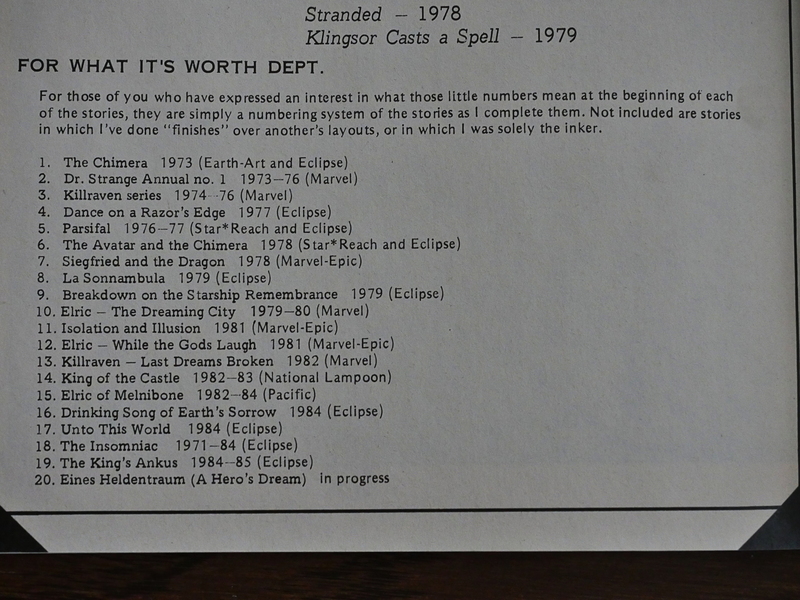 All of these books have been extensively reprinted after Eclipse’s demise, mostly by NBM. Russell is still publishing new work to this day, and while researching while writing this, I see that I’ve missed a couple of books the past few years. Next Next post: 1980: Detectives, Inc.